She is your treasure, and oh so close to your heart. These adorable 2-tone earrings will bring a smile to her face, knowing that you love her forever. A comfort-shaped earring that is perfect for children's ears, less likely catch or snag on anything. 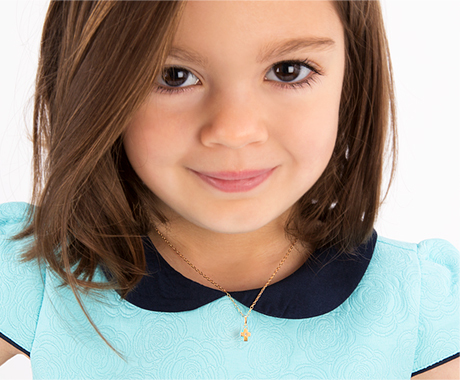 An ideal gift for your little love bug this Easter!